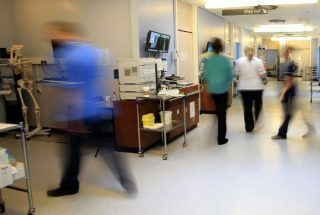 There are behind-closed-doors plans to give the UK health service a bit more cash, according to the BBC's political editor Laura Keunssberg. What it means: Well, honestly, it doesn't mean much yet. But if it's true, you'd assume it means the government is acknowledging at least that the NHS does need more money: rewind to last year, when the prime minister insisted that the government had given the NHS the money it needs. Apparently they've discussed introducing new taxes to raise more money – including something called a hypothecated tax: that means you'd pay a specific tax for the NHS, that would only be spent on the NHS. If the rumours are true, it's out of character for a Conservative government, which tends to prefer lower taxes and lower government spending.